 The AMEC Sunday School Union is the Publishing House for the African Methodist Episcopal Church. The Sunday School Union, founded in 1882 by Charles S. Smith, was established to promote Sunday School curriculum to students and teachers of African Methodism. In addition to supplying church school material, the Sunday School Union operates a full functioning printing plant. Some of our work includes the Missionary Magazine, The AME Review, The Christian Recorder, The Journal of Christian Education, The Secret Chamber, The Voice of Missions, The YPD Gazette, and The YPD Handbook. Our office also prints General Conference material, Combined Minutes, Episcopal District Conference Guides, and souvenir journals. Charles S. Smith, a minister born in Canada in 1856 and who earned the M.D., proposed to the Bishops of the African Methodist Episcopal Church the establishment of a Sunday School Union. Smith, who already was Secretary to a fledgling organization, met the Bishops in Cape May, New Jersey where they approved his new venture. The General Conference of 1884 meeting in Baltimore, Maryland also endorsed the denominational entity. Smith believed that the A.M.E. Church needed appropriate literature for youth and an office to encourage Sunday School institutes to train students and teachers. To achieve these objectives he located in downtown Nashville, Tennessee a five-story building and negotiated a purchase price of $9,000. He started with a down payment of $5,000 and agreed to pay the remaining $4,000 in two annual installments of $2,000 plus interest. In 1891 the debt was liquidated. Smith reported a promising start for the Union. In January 1882 he commenced publishing Our Sunday School Review and he initiated Children’s Day. The Teachers’ and Scholar’s Quarterlies and the Juvenile and Gem Lesson Papers were also produced a few years later. In 1882 Children’s Day collections were $787.70, but by 1887 it amounted to annual contributions of $4,362.98. In 1886 the Sunday School Union did business in the amount of $8,147.19. Beyond the publication of Sunday School literature, Smith printed books on general denominational affairs. They included Bishop Daniel A. Payne’s A History of the African Methodist Episcopal Church and his own Dedicatory Services at the Publishing House of the A.M.E. Sunday School Union (1894) and Glimpses of Africa: West and Southwest Coast (1895). 3 Smith served as a General Officer until 1900 when he was elected and consecrated as the 28th Bishop. Reverend William D. Chappelle of South Carolina replaced him and remained in the position of Secretary-Treasurer of the A.M.E. Sunday School Union until his election as President of Allen University in 1908 and in 1912 as the 37th Bishop. When Ira T. Bryant was elected in 1908, he became the first layman to head the Sunday School Union and the third ever elected as a General Officer. 4 Born in Selma, Alabama in 1877 Bryant was graduated from Alabama A & M and worked in Washington, D.C. at the United States Government Printing Office. After his quadrennial report to the General Conference of 1916 meeting in Philadelphia, Pennsylvania a committee recommended cooperation with “presiding elders and pastors in furnishing needy schools with free literature” and that the Union, despite the existence of the A.M.E. Book Concern, should become the preeminent “publishing house of the Connection.” Bryant was praised “for the splendid method of book-keeping and business acumen” exhibited in Union operations. Bryant stayed in office until 1936 when E. A. Selby defeated him at the General Conference meeting in New York City. Bryant, however, refused to honor the election results and various lawsuits ensued concerning the rightful General Officer in charge of the A.M.E. Sunday School Union. Bryant had amended the charter of the Union several years before and that allowed him to select members of the governing board. This document ostensibly allowed him to maintain control of the connectional facility until a court invalidated his claim in 1941. Selby served until 1964 when Reverend Charles S. Spivey, Sr., who had been a productive pastor in Detroit, Michigan and Dean of Payne Theological Seminary, succeeded him. Reverend Henry Allen Belin, Jr., elected in 1972, replaced Spivey and undertook the publication of several scholarly works from Theologian Cecil W. Cone and Historiographer Howard D. Gregg. In 1977 Belin built and had dedicated a new office building and publishing plant to house a revived Sunday School Union. He was elected and consecrated in 1984 as the 104th Bishop. Reverend A. Lee Henderson, the pastor of Second A.M.E. Church in Los Angeles, California, became the 7th Secretary-Treasurer of the A.M.E. Sunday School Union and retired in 2000. The Reverend Dr. Johnny Barbour, Jr., pastor of Pearl Street A.M.E. Church in Jackson, Mississippi, was elected in 2000 at the General Conference meeting in Cincinnati, Ohio as the 8th President and Publisher of the A.M.E. Sunday School Union. During his tenure modernized printing, folding, color press, and other machinery dramatically enhanced the quality of Union publications. Significant property acquisitions have occurred and all denominational periodicals in addition to hymnals, disciplines, and annual conference booklets and minutes are produced at the Sunday School Union. Come to Jesus Christian Store Inc.